I think this is probably the closest I’ll ever come to feeling like a celeb. Walking along the street with a photographer snapping away, people in cars staring at me (and smiling) and a little girl pulling on her mum’s hand “Look, mummy”. Queen Street Garden’s aren’t open to the public, so I had never seen them before. Of course it was pretty muddy, and there was no path. While it’s hard to come up with a favourite picture out of them all, this one of Matt helping walk through the mud, certainly has to be up there. On a more food related theme, on to the cake! There were three tiers of fruit cake, with small iced boxes to hold up the glass plates, the bottom tier was polystyrene as for only 100 guests I didn’t need quite that much cake. 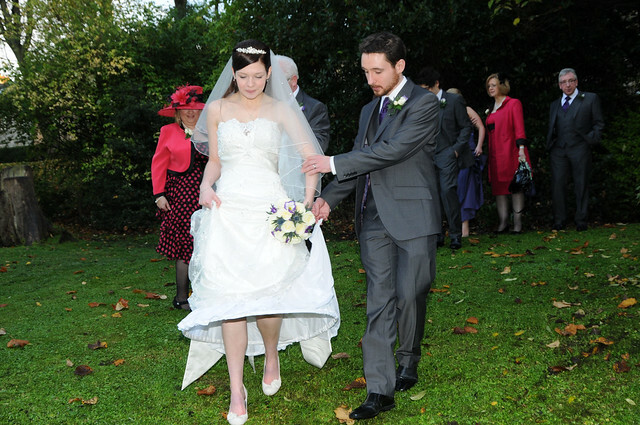 I loved the cake, which was extra special as it was one of the big surprises on the day. I left the decoration up to my Mum and her friends. 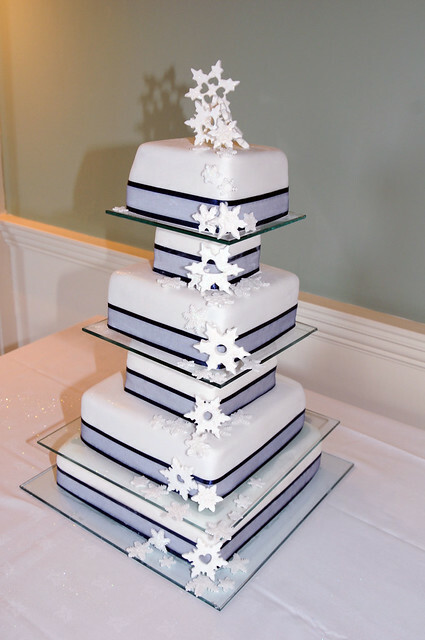 I thought there would be some form of white flowers on the cake but the snowflakes were just perfect. It added a touch of winter on what was a remarkably perfect November day! Unfortunately I didn’t take any snaps of the meal, which was truly out of this world, and got some truly great responses from the guests. In fact I may try to recreate some of the dishes and put these up on the blog 🙂 However it may be sometime before that happens. I won’t bore you with too may more pictures of my wedding – but if you are interested my wonderful husband as put some up on Flickr. 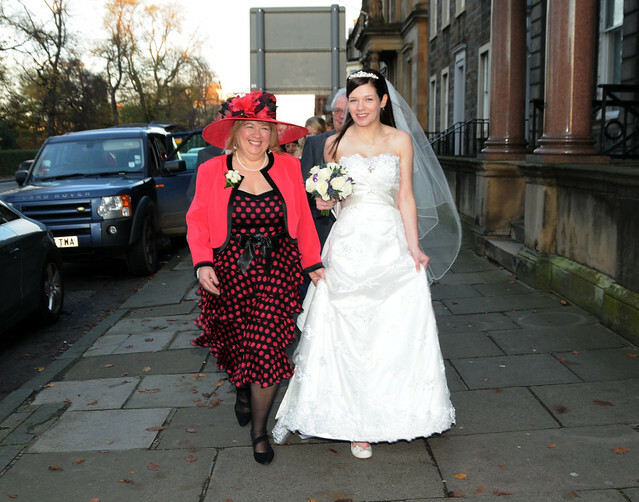 See the Wedding of Gemmell set.